Through this Legal Notice is intended to regulate access and use, and in general, the relationship between this website https://campinglatorre.com and users who access it. The user is informed that the data collected through the various forms of this web page could become part of an automated file owned by this company. The purpose of the treatment will be the control of statistical accesses and the sending of information that the company considers of interest to the client, on its own services or on companies of its group. However, we are committed to dealing with extreme diligence the personal information that the user can provide us through these forms and that mainly these data collected in its entirety, will be exclusively to get in touch with the sender and thus be able to attend the (s) ) consultation (s) raised on this website. The user can enforce at all times the rights of access, rectification, cancellation or opposition of which he / she is the holder, by means of the written notification to our postal or electronic address, in accordance with the established in the Organic Law 15/1999, of Protection of Personal Data (LOPD) and as well as in Regulation (EU) 2016/679, of April 27, General of Data Protection (RGPD). We will not respond to the presence of viruses and other elements that could damage the user’s computer system in any way. Nor will we assume any responsibility derived from the connection or contents of the links of third parties referred to in this website. The user will be fully aware that access and navigability through this website, will imply acceptance of these conditions of use. If anomalies or breaches are derived in the contracting of the services offered by any provider advertised on the web or in reservations, purchases or confirmations of the services derived from our website, the client or user will waive any claim against MILPOTROS, S.L. for those deficiencies or non-compliance, unless the lack of professional diligence is verified. “Cookies” are small text files sent and stored on users’ computers that allow the website to recognize repeated users, provide users with access to the page and allow the page to collect information that may improve the content. The “cookies” do not harm the computers of the users or their files. No cookie stores personal data of the user nor can it extract information from the hard disk of the same user. If users do not want “cookies” to be accessible on this website, please, through your Internet browser, delete the cookies from your computer’s hard drive, block all cookies or select to receive a warning before a cookie is stored. For more information we advise you to strictly read everything related to cookies in the section corresponding to the Cookies Policy of this web. By using this website the user consents to the processing of this information by Google in the manner and for the purposes indicated above. The right to modify and / or update the general terms and conditions established in this website as well as its contents will be reserved. So that the temporary validity of these conditions will be limited to the time of their exposure. Any controversy or claim arising from or related to these conditions of use and navigation will be governed by the Spanish Law, being left to it, both nationals and foreigners who use this website. 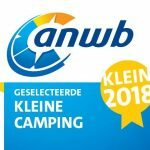 The visit to this website: https://campinglatorre.com does not imply that the user is obliged to provide any information. In the event that the user provides personal data through the forms and emails of this website, these data will be treated in a fair, lawful and appropriate manner subject at all times to the principles and rights set out in the Regulation (EU ) 2016/679, of April 27, General of Data Protection (RGPD) and other applicable regulations. The Responsible for the treatment will NOT make automated decisions, profiles or logic of the personal data collected by the Website, through the forms extended on its pages. However, it reserves the right to include a personal data file created under our responsibility for the data that you provide voluntarily through email or forms made available on our Website, with a clear purpose of being able to Manage your queries or requests. The person in charge of the treatment assures that, given the case, he will proceed to treat the data in a lawful, loyal, transparent, adequate, pertinent, limited, exact and updated way. That is why it undertakes to adopt reasonable measures so that these are suppressed or rectified without delay when they are inaccurate. The person in charge of this website will be able to keep all the data received by the users up to the moment in which the deletion is expressly requested or, on the contrary, until the commercial relationship that links it with this website or responsible for the treatment. In this case, the data will be deleted when the legal terms provided are fulfilled. Your personal data will not be transferred to third parties except legal imperative. If in any particular case we were to make a transfer of data, we will inform you in a timely manner, and if necessary, we would request your consent. This website may contain links to other sites that may be of interest to you. Once you click on these links and leave our website, we no longer have control over the site to which you are redirected and therefore we are not responsible for the terms or privacy or the protection of your data on those other sites. third parties. These sites are subject to their own privacy policies, so it is advisable to consult them to confirm that you agree with them. This website stores cookies to be able to compile statistics on traffic and volume of visits to this website. By using this website you are consenting to the processing of information about you by Google. Therefore, the exercise of any right in this regard must do so by communicating directly with Google. For more information, visit the Google Analytics Data Protection page. As a user, you can always exercise the rights of access, rectification, cancellation, limitation, opposition and portability by writing a letter to that effect, attaching a copy of an official document that can identify you to the postal address previously indicated as responsible for the processing of your data. or by sending an email also mentioned above. Right of access: To know what kind of data we are dealing with and the characteristics of the treatment we are carrying out. Right of rectification: Being able to request the modification of your data for being these inaccurate or not true. Portability right: To obtain a copy in an interoperable format of the data that is being processed. Right to limitation of treatment in the cases included in the Law. Right to suppress: Request the deletion of your data when the treatment is no longer necessary. Right of opposition: Request the cessation of commercial communications in the terms indicated above. Right to revoke the consent given, with your request being processed within approximately 10 days. Right to file a claim with the Spanish supervisory authority AEPD (Spanish Agency for Data Protection) https://sedeagpd.gob.es/sede-electronica-web. In general, the relations between the owner of this website and the users are subject to Spanish legislation and jurisdiction. Any conflict derived or related to the use of this website will be submitted to the Courts and Tribunals of the city closest to the registered office of the owner of this website.